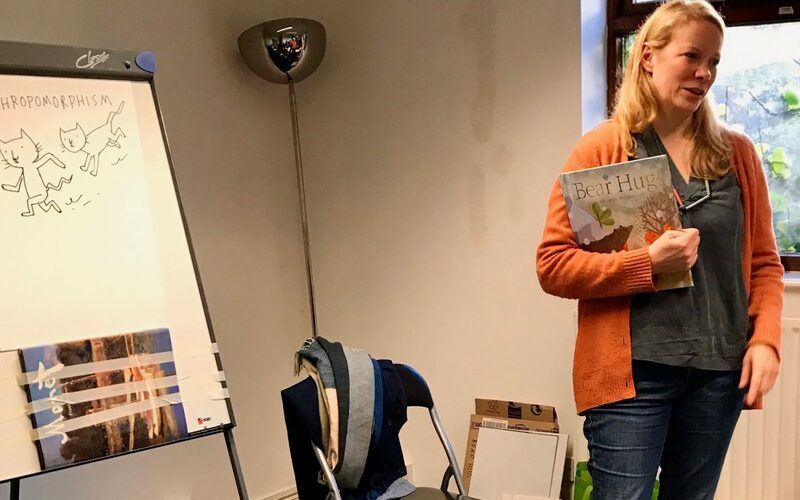 Last Saturday Artroom was pleased to welcome the children’s illustrator and author Katharine McEwen to our studio, after she very kindly agreed to come and talk to some of our younger pupils about the life of a professional artist. 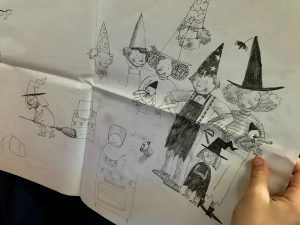 Kate’s work has featured in over forty books by an array of well-known writers, including Allan Ahlberg, Rose Impey, Kate Rowan and Giles Andreae. Her own debut as both author and illustrator, the delightful Bear Hug (Templar Publishing) features a series of beautifully crafted collages that tells the story of a young bear’s coming-of-age journey through the seasons and the circle of life. Our pupils were also lucky enough to see many of the original pieces from Bear Hug which Kate brought with her, along with lots of preliminary sketches and painted pages from her other work. So a big thanks to Katharine for devoting so much time and energy to our children. Sadly we ran out of time while hands were still in the air to ask questions, but it’s safe to say everyone enjoyed the day!